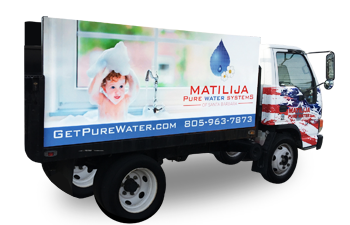 Notes: looking at the current water crises in Santa Barbara, it has become ever apparent that having an efficient water softener is key. We all want to do our part in water conservation and in a time where watering your lawn is taboo, some think that removing their backwashing water softener is the answer. This is a misconception and the amount of chemicals and cleaning product to fight hardness is much more expensive and worse on the environment. The answer is installing an efficient water softener. Our quality units have programmable options that can bring the regeneration cycle from 80-100 gallons to 20. On May 5, 2015, the Santa Barbara City Council declared a Stage Three Drought Condition in response to the driest consecutive four years on record. The Stage Three Drought Condition requires a 25% City-wide reduction in overall water use, with mandatory regulations on specific water use applications. These regulations apply to all customers using City of Santa Barbara water and are summarized below. Thank you for taking action, we are all in this together. Hoses must be equipped with an automatic shut-off nozzle. Irrigation with potable water is only allowed between the hours of 6:00 p.m. and 8:00 a.m. If manually operated, such irrigation is allowed only between the hours of4:00 p.m. and 10:30 a.m.
Irrigation with potable water that causes runoff onto adjacent property, non-irrigated areas, private and public walkways, roadways, parking lots, or parking structures is prohibited. Any excessive, unnecessary or unwarranted use of water is prohibited. All leaks must be repaired as soon as reasonably possible. Irrigation during and within 48 hours after measurable rainfall is prohibited. Washing of pavement and other hard surfaces is generally prohibited. Exceptions: to correct an immediate threat to health and safety, in preparation of painting or sealing, or for dust control, provided it is accomplished by use of a pressure washer, mop, bucket, or brush. For more information on pressure washing refer to the resolution. Vehicles and boats washed by hose must have a shut-off nozzle or washed at commercial facilities that recycle the water. The use of potable water in all non-recirculating ornamental water features and fountains is prohibited. Recirculating fountains with a water surface area greater than 25 ft2 are prohibited unless located indoors, on residential property, or are home to aquatic life. Pools and spas must be equipped with a cover when not in use. Pool cover rebates available. No draining or refilling of pools by more than one third, unless authorized. Drought notices are required in restaurants and other eating and drinking establishments; water served on request only. Hotels and motels must post a drought notice in each guest room and provide guests with the option of choosing not to have towels and linens laundered daily. Gyms, pools and other businesses providing showers must post drought notices and promote limitation of shower use. Waste: "Waste" means any excessive, unnecessary or unwarranted use of water, including but not limited to any use which causes unnecessary runoff beyond the boundaries of any property as served by its meter and any failure to repair as soon as reasonably possible any leak or rupture in any water pipes, faucets, valves, plumbing fixtures or other water service appliances. Prohibition Against Waste of Water. It shall be a violation of this Chapter for any consumer or account holder to waste any water obtained from or through the distribution facilities of the City. Wasting Water - Repairs - Required. 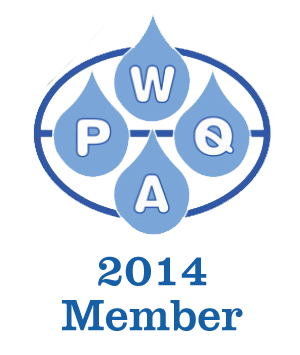 Each and every consumer shall maintain in good order all his water pipes, faucets, valves, plumbing fixtures or any other appliances, at all times, to prevent waste of water. Any failure to comply with a provision of this Chapter shall constitute a violation of this Code, regardless of whether the failure to comply is caused by an account holder, a consumer or any other person or entity. Where the failure to comply with this Chapter is continuing and reasonably preventable by the person or entity failing to comply, each successive hour of such failure to comply shall be a separate and distinct violation. 4th and Subsequent Violation: $250 fine per violation, possible flow restrictor or shut off water service.